Whitefish Community Foundation helps donors get the most from their giving and works to connect donors with important community needs. We have managed charitable giving funds for families, companies, and foundations for over 18 years. Our history is rooted deep in the heart of our community. We can help you simplify your giving and give strategically. This is often the most simple and easy way to make a charitable contribution. Cash gifts are 100 percent tax deductible. This gift, like others, may also reduce your taxable estate. You can designate your gift to one of several funds benefiting our community: Greatest Needs, Permanent Endowment, Community Grants, Great Fish Community Challenge Fund or any of the advised funds. A contribution of appreciated securities can produce significant tax savings to you. You receive a double benefit: an immediate charitable deduction for the fair market value of the securities you contribute, and you are not subject to any capital gains tax on the appreciation. Using securities to open a donor-advised fund provides the added benefit of one transaction, yet the gift can be applied to several nonprofits through your grant recommendations. Charitable gift annuities allow you to make a significant gift to benefit the community while receiving fixed payments for life, regardless of the economic climate. A charitable gift annuity is a simple contract between you and the Community Foundation. In exchange for your contribution, the Community Foundation agrees to make fixed payments for the life of one or two beneficiaries. The payments are based on the age of the beneficiary(ies) and are insured. A portion of the initial gift may be tax-deductible and a portion of the fixed payments may be tax free. When the contract ends, the remainder is used to support the work of the Community Foundation and the charitable causes and organizations that are important to you. A planned gift through a charitable gift annuity may also enable you to take advantage of the Montana Qualified Endowment Tax Credit. Individuals 70 1/2 are now able to make their minimum IRA distribution directly to charity and not count it as income. The process is easy: Once you are 70 1/2 you are required to take your minimum distribution from your IRA. But, if you do not need the income and you do not want the income which could push you into a higher tax bracket, you can roll it over to charity. Have your financial advisor or the bank holding your IRA make the distribution check out to the Whitefish Community Foundation directly. Then, contact the Whitefish Community Foundation to arrange the designation on this gift. You can put it to work in any of the Foundation's charitable funds (Endowment, Community Grants, Great Fish Community Challenge, Greatest Needs) or, you can designate it to the charities of your choice either directly, or through the Great Fish Community Challenge.  The Community Foundation will make sure you receive the appropriate tax substantiation letter to provide to your accountant. A Charitable Giving Fund, also called a Donor Advised Fund (DAF) offers individuals and families the ease and flexibility of giving, similar to a private foundation but without all the expense and administration. Gifts of cash or appreciated securities can be donated to set up your fund. You use your fund to make grants to charities over a period of time. Your gift can also grow tax free through several investment options. You can also set up a Donor Advised Endowment Fund to build a fund that will give to charity in perpetuity and pass your giving tradition on to future generations of your family. The Community Foundation will do all the administration so that you can focus on your philanthropy. A charitable remainder trust (CRT) is an irrevocable trust that generates a potential income stream for you, as the donor to the CRT, or other beneficiaries, with the remainder of the donated assets going to your favorite charity or charities. Also, you can combine a CRT with a Charitable Giving Fund (DAF). Achieve greater flexibility by combining strategies of using a charitable trust with a DAF. If you make the beneficiary of a charitable trust a public charity that sponsors a DAF, you give yourself the flexibility to more easily adjust and recommend ultimate grants with the DAF. This strategy provides you with greater flexibility at a significantly lower cost than amending the charitable beneficiary of a charitable trust, which in some circumstances may be prohibited. You have taken care of your loved ones and would like to leave something behind for your community. A charitable bequest is one of the easiest ways to make a gift that will make a lasting difference in the lives of others. Bequests can take a variety of forms. You can leave the community foundation a specific sum of money, a percentage of your estate or a specific piece of property. For specific language to incorporate into a bequest to the Whitefish Community Foundation visit our page on Learn about Wills and Bequests. Many people find that the protection offered by their policies is no longer needed later in life. A life insurance policy can be an ideal tool for charitable giving. This gift may also give you both a current and future income tax deduction or you could use it to take advantage of the Montana Endowment Tax Credit. We are here to make it easy for you to support all the charitable causes that matter to you. We will be pleased to work with you, your family, and tax advisor to carry out your philanthropic goals. We do recommend you consult your financial advisor when making charitable giving decisions. For more information, answers to your questions, or a free consultation, please contact Linda Engh-Grady or Daria Perez.